A large part of the work activity undertaken by court reporters is creating a written record of testimony given by an individual involved in a case taken under oath by an attorney. This is referred to in most states as the taking of a deposition or in some states like New York as “Examination before trial.” Depositions are an important activity which generally occurs in civil and criminal legal cases prior to trial or arbitration proceedings. When a lawsuit is instituted, the parties involved in the suit often exercise the right to conduct discovery, which is the process of formal investigation used to learn more about the deponent’s knowledge concerning the case. A deposition can be taken of anyone who may have relevant information about the facts of the case. Discovery can include direct questioning, requests for documents and written responses to interrogatories (written questions.) 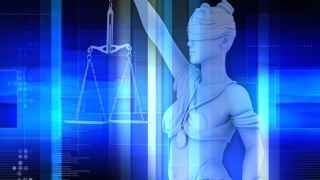 These methods allow the parties to find out what the facts are and what each witness knows. Often, the purpose of taking a deposition is to allow a witness to give relevant testimony without having to appear in court. This may be because the deposed individual is unable or not required to appear. Another reason depositions are taken is for the purpose of gathering witnesses' statements prior to trial testimony, so what they state at trial can be compared to what they stated during their deposition testimony. Attorneys also often use the opportunity of taking a witness' deposition to evaluate how the witness' testimony may reflect on merits of their case. In other words, attorneys may use the deposition as an opportunity to meet and hear from an individual and evaluate whether or not they will be effective when appearing before a jury. Judges or other members of the court are not generally present during depositions, but can if requested in some instances be called in to help settle disputes, which often arise amongst attorneys representing adversarial parties in a case. Individuals who appear at a deposition have the right to have an attorney present with them during the proceeding. A court reporter’s job is to create a word-for-word account of what is said during the deposition so that transcripts of the event can be created and maintained for reference. The court reporter is often also a notary public, authorized to administer oaths to witnesses and certify that his or her transcript of the proceedings is a verbatim account of what was said. The court reporter plays an integral role in the deposition. Accuracy is critical since the transcript of the deposition can be entered as evidence during the trial. Similar to the official transcript during a trial, the written record of what takes place during a deposition is kept indefinitely and can used in subsequent cases by attorneys working on appeals or cases that are similar in litigation context. Depositions are generally not held in a courtroom and instead take place at a court reporter's office, law office or in some instances at the location of a deponent’s residence or place of work. Accurate Stenotype Reporters provides comprehensive facilities for attorneys needing to take deponent testimony in the Florida state capitol or surrounding region. ASR’s facility includes conference rooms equipped with the latest generation of video conferencing technology which makes it possible for Attorneys to choose to attend depositions remotely, which can save a firm significant amounts of money and time associated with having to travel in order to gather testimony. The video taping of depositions is also a frequent practice of attorneys, and ASR provides comprehensive video productions services, including the ability to in-house sync video testimony to written transcripts. Accurate Stenotype Reporters is an industry leader in court reporting and transcription services. Accurate Stenotype Reporters has been serving the legal community of the Florida state capitol and its surrounding areas since 1976. The court reporters and support staff at ASR are dedicated professionals, providing the most technologically-advanced reporting services in the industry. When the nation's law firms are involved with history-making cases, Accurate Stenotype Reporters is the selected reporting agency. A few past examples are the Tobacco Litigation, Florida Power & Light, DuPont, Constitution Revision Commission, and the U.S. Presidential Election of 2000. “A picture is worth a thousand words.” “It’s not just what you say, but the way you say it.” While these old adages are often true in life, in the legal profession they can be the critical difference between winning or losing a case. Often, in the course of discovery through deposition taking, attorneys use video as a way to capture and present testimony to a judge or jury by a witness who may not be available for various reasons to testify at trial. Legal videography started in the 1970s in Pittsburgh Pennsylvania when a local county bar association had to deal with a growing problem in that “expert witnesses,” many of which were doctors, refused to show up at trials in which they were under court orders to appear. These failures to appear were occurring because the doctors were protesting and not willing any longer to be put in circumstances of having to sit and wait at a trial, in many instances for days, to be called to testify, causing them to miss appointments with their patients and miss valuable time at their practices. These events back in the 70s led to a bar association research initiative to examine the practicality of taking the testimony of doctors by video. Videotaping doctors prior to trial instead of forcing them to appear live in court was a good solution to the problem, and this led to a whole new industry of trial presentation technology, which today is much more than just the video created itself. Today witness testimony by video has grown beyond its original purpose of making it easier on experts to offer testimony. Videotaping of depositions is routinely done by attorneys who are keenly aware of the power of the video medium as one of the best ways to capture and present the testimony of any witness that may be either favorable or not to the case they are trying to present or defend. The text of a transcript in many instances simply cannot on its own relate to a jury effectively the demeanor of a witness when they are responding to an attorney's question. Often a combatant or hostile witness may not appear that way in the context of written transcript text, but clearly comes across that way in the video. By contrast, some witnesses reinforce the sincerity of their testimony by their behavior and conduct during video testimony, again something that a jury is often not going to be able to recognize by just having an answer from a transcript read to them. 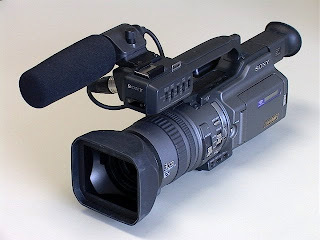 Video is now also used by attorneys to memorialize in sound and picture the answers of a deponent, which along with the official transcript, can be used to hold a witness accountable if his answers change during a trial from what he testified to during a deposition. Video is also used by legal teams to evaluate pretrial whether it would serve them wisely to call a particular witness to testify during trial or if they risk damaging their case because the particular witness comes across in a manner which may not play favorably to a judge or jury. At Accurate Stenotype Reporters, we have over 30 years of experience in working with attorneys to deliver the video services they are seeking. We are a fully-digital production facility with a complete suite of in-house video services. For videotaping depositions and video conferencing, we offer specifically-designed conference room facilities with proper lighting and acoustic treatment for video recording, so depositions are captured in the highest-quality environment. Our videographers only use broadcast standard cameras and microphones, so all of a subject's testimony is captured without any equipment compromise. Our videographers also have extensive experience in field recording, so whether it's forensic video, site inspections, day-in-the-life productions or an independent medical evaluation, you will always be working with a highly-experienced videographer and production staff that understands how to deliver the best possible video in the format you need. Speaking of video formats and useful technology, video transcript syncing is an area of format convergence that is increasingly requested by attorneys to make life easier when it comes to managing and presenting the often volumes of transcript and video testimony a case can generate. Many available laptop litigation software applications allow attorneys to on-demand search and present relevant testimony, automatically matching and syncing on screen the court reporter's official transcript with the video taken of the deponent. ASR uses the nation’s leading transcript syncing process technology to deliver to you the transcript file and video ready to go to work in your litigation software application. If you don’t presently use a litigation presentation software, ASR will provide you free of charge a licensed copy of Indata's DepoView software. DepoView allows you to create and save video clips, search transcripts, and export synchronized video depositions to other programs. DepoView is the easiest way to review the deposition, search important segments, extract key testimony from your video transcript and present it to viewers. DepoView DVD is a new format of transcript video syncing offered by ASR, which doesn’t require any software or computer to operate. Simply place an ASR-prepared DVD in any standard DVD player, and the client's testimony plays along on screen synched to an onscreen presentation of the court reporter's transcript. From deposition Internet streaming to video synching for trial presentation, the use of video for litigation support has come a long way since the events in Pennsylvania back in the 1970s which led to its first use. Contact an ASR legal video services specialist to find out how today’s video technology can help you use the power of video to make your case presentation stronger. Established in 1976, Accurate Stenotype Reporters, Inc. has become Tallahassee's largest reporting firm serving North Florida and South Georgia. Founded by President/Owner, Sandi Nargiz, ASR has earned the reputation as the premier professional reporting firm chosen by Florida's most prestigious law firms. ASR is neutral, independent and impartial. ASR Reporters 2010. Watermark theme. Powered by Blogger.